Leo tank top. This beautiful top is basic, but remains a topper! 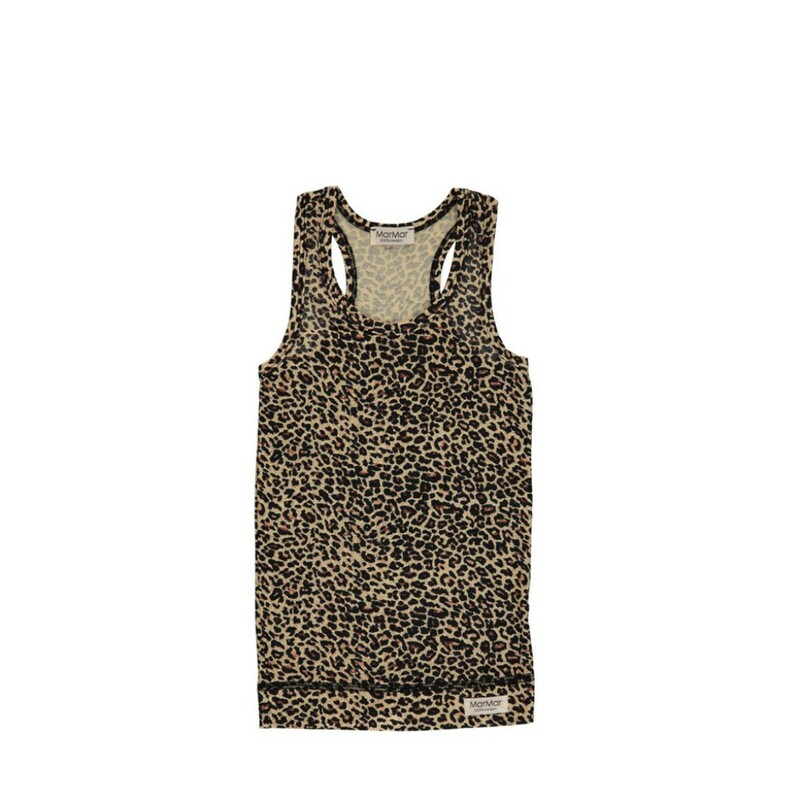 The tank top with nice leopard print is ideal in warm weather. It is a favorite for relaxed summer looks! The tank top is made of 100% cotton, which together with the wide straps and round neck for unbeatable comfort. Can be worn by both boys and girls.